The HomeStyle mortgage is Fannie Mae’s version of an FHA 203k rehab mortgage. Fannie Mae HomeStyle allows home buyers to finance improvements and/or repairs with their purchase or with a refinance. This allows home owners to have just one mortgage payment while enjoying upgrades made to their home. Just like a 203k loan, HomeStyle requires that you work with a consultant to determine what repairs will be required and help advise on improvements. If you’re buying a home and using HomeStyle for your financing, the consultant’s report may also serve as your home inspector. Where do I start with an FHA 203k Rehab loan? My wife and I are very interested in pursuing a 203K type mortgage, but do not know where or how to start. I would appreciate any assistance you could offer. Thanks! 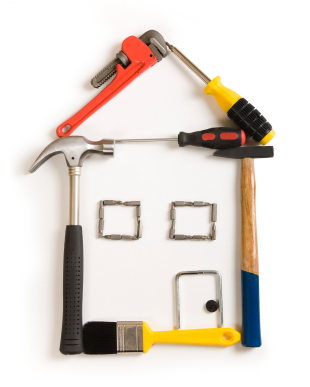 An FHA 203k mortgage allows improvements to be made to a home using an FHA insured mortgage. The borrower is able to finance the cost of the improvements with one mortgage. Since it is an FHA mortgage, it has a reduced down payment, FHA upfront and monthly mortgage insurance and the loan is subject to FHA loan limits in the county the property is located in. Having a Hard Time Finding the “Perfect” Home in Seattle? Consider an FHA 203k Rehab Loan! Some of my Seattle area clients have been searching for the “just right” home for months. With a good portion of the available inventory being bank owned, many of the homes have been left in less than desirable condition or perhaps are overdue for a little TLC. If you’ve found a home that needs some work that’s located in a neighborhood you’d like to call home, an FHA 203k rehab loan may be worth your consideration. The cost of the improvements are added to the sales price of the home. For example, if you find a fixer with a sales price of $250,000 and it needs $40,000 in repairs or improvements, you can finance up to 96.5% of $290,000 (FHA loans currently have a minimum down payment of 3.5%). Many home buyers might buy a “fixer” knowing they can do a lot of the work “down the road” or as they can afford it. With an FHA 203k rehab loan, the work is done after closing and financed with the “purchase money” first mortgage. This means you’ll have the benefit of current low FHA rates instead of financing improvements with a Home Depot or Lowes credit card, not to mention the income tax benefits. I recommend starting with a prequalification to see how much mortgage payment you are comfortable with and that you qualify for. If you’re buying a home anywhere in Washington, I can help you. Once you know what you qualify for, you can start shopping for homes that you’d like to improve (it doesn’t need to be a foreclosure or a total fixer). By the way, if you need a recommendation to a real estate agent, please let me know. Once you’ve found a home that you’re interested in, it’s not too early to meet with a HUD approved consultant for a feasibility study. In fact, you can do this before you’re in contract. This step is very important. The consultant will help you identify what items HUD will require to be repaired to meet lending standards and make recommendations for improvements and consider your “wish list” for items to be done to the home. You also want to make sure not to “over improve” your home for the area as the finished product will need to appraise for the adjusted sales price (sales price plus improvements and cost of the 203k loan). A qualified consultant can help guide you through this part of the process and I’m happy to recommend someone if you’re buying a home anywhere in Washington. FHA 203k loans tend to take a little longer to process and close than a standard FHA transaction. The total loan amount (sales price plus improvements) is limited to FHA loan loans which is currently $567,500 (until October 1, 2011) in King, Pierce and Snohomish Counties. Questions? Please contact me – your next home with your new kitchen is waiting for you. Mortgage Master Service Corporation is a Direct Endorsed HUD approved lender. Click here for your personal mortgage rate quote for homes located in Washington. EDITORS NOTE: We currently do FULL FHA 203k Rehab loans instead of streamline and loan limits have changed since this post was written in 2011. HUD’s FHA 203(k) loans are very popular right now considering the many homes that may have been abandoned or neglected and need some TLC. FHA 203(k) loans allows the cost of certain repairs and improvements to be added to the sales price which essentially provides borrowers an “all in one” home repair loan for permanent financing. The down payment is basically based off of the sales price plus the costs associated with the improvements using FHA’s minimum allowed down payment. FHA 203k loans are a great choice for fixer-uppers or homes that need some modernization. The maximum loan amount for a purchase using 203k financing is the lesser of the “as-is” value of the property (based on the appraisal) plus the rehab cost or 110% of the expected “after value” with the rehab. The maximum loan amount is limited FHA’s loan limits. See below for current FHA loan limits in Washington state. This program is one-to-four unit dwellings and FHA approved condos as long as the homes are owner occupied. This program does not allow investors. Most improvements are eligible as long as they add value and are permanently affixed to the foundation. Just a few examples of improvements include painting, room additions, kitchen remodeling, roofing and decks. Luxury items (such as swimming pools) and improvements to detached structures are not permitted. A HUD approved consultant works with the borrower to help determine what improvements FHA will require (such as energy conservation, local codes, safety, etc.) as well as the improvements the buyer would like to have done. The consultant will develop a list of proposed improvements that will be submitted to the lender for review. Rehabilitation construction must start within 30 days of closing with all work completed within six months of closing. PS: FHA 203k rehab loans are not just for home buyers, they can be used to refinance an existing mortgage and pay for improving a home too! If you would like more information about FHA’s 203k Rehab loan for home located in Washington state, please contact me. I have been originating FHA loans at Mortgage Master Service Company since April 2000.